Destination Feature Topic: Chinese Superstitions in Hong Kong & The Hong Kong Protests - why they are happening & the reality of life as a protester. $5 Fun/Travel: Visit the IFC tower - BYO Beer. QUOTE: "HK politics is like a buffet where all you get is tofu. You eat all you want but only get tofu"
Why every blogger and online businessman has another job: Marketer. Why Email still trumps social media hands down. How to introduce yourself to super famous bloggers at conferences and social events. Youtube vs Podcasting for 2015? Why having a flood of competitors is a good thing. Why Travel Freedom is the best lifestyle. 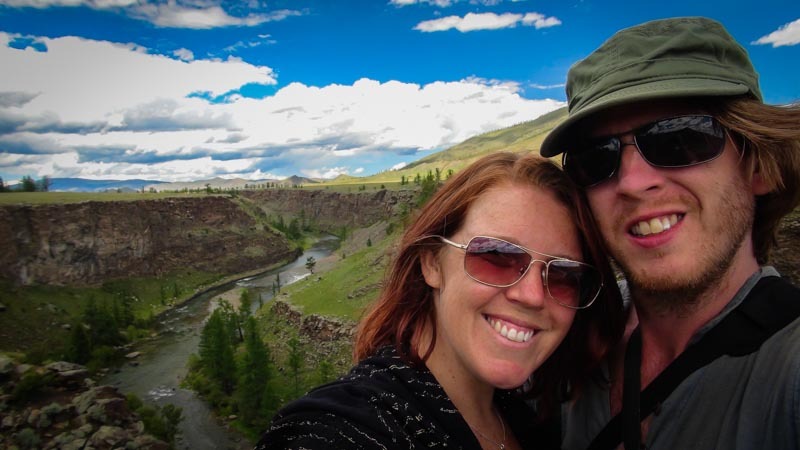 Feature Topic: We reveal how much it has cost us to travel the world for the last 21 months... It's way less than staying home would have cost. Local Interview: Featuring "Mr G" owner of the Prizren city hostel. We talk about the history of Prizren, advice for budget travellers and fun things to do. $5 Food: Bread, Meat and Cheese... We consume some exciting local varieties and get a meal for two in a nice town centre restaurant for only $5 per person. TBEX - The Largest Travel bloggers event in the world. We loved our time in Kosovo and were very sad to leave :-( We highly recommend the City Hostel, it was one of the main factors that lead to us having such a fun time. Mr G is very interactive and, along with free beer in the evenings, offers a free city walking tour for guests too. DISCLAIMER: We are affiliated with TBEX & Trusted Housesitters, both companies we love and support. We are not affiliated with any other of the recommended products on this page. Our opinions, as always, are our own. We will help you discover a travel freedom lifestyle career. We talk about what to expect in coming episodes and about our background as long term travellers and digital nomads. We explain the format of the show: Money Mondays, where we interview expert digital nomads and Travel Thursdays where we share the secrets of how to travel much more affordably. All this coming up in the 5 Dollar Planet Travel Podcast! There are no show notes for this episode. There will be for all future episodes. So, subscribe now and get Ready to Discover Travel Freedom!